The latest IDC forecast says public cloud spending will grow almost 25% this year, topping $122 billion. And the growth keeps up through 2020. The public cloud just keeps on growing, with increases in spending on cloud services and infrastructure easily outpacing overall IT spending. And it isn’t even close. The latest update to International Data Corporation’s Worldwide Semiannual Public Cloud Services Spending Guide projects worldwide investments in the public cloud “will reach $122.5 billion in 2017, an increase of 24.4 percent over 2016. Those are big numbers, obviously, but to put them in full perspective, IDC noted that growth rate is nearly seven times the rate of overall IT spending growth. And that’s hardly some one-year blip. IDC forecasts overall public cloud spending to grow 21.5 percent annually from 2015 through 2020, topping $203.4 billion worldwide. Not surprisingly, software as a Service (SaaS) still dominates cloud computing. 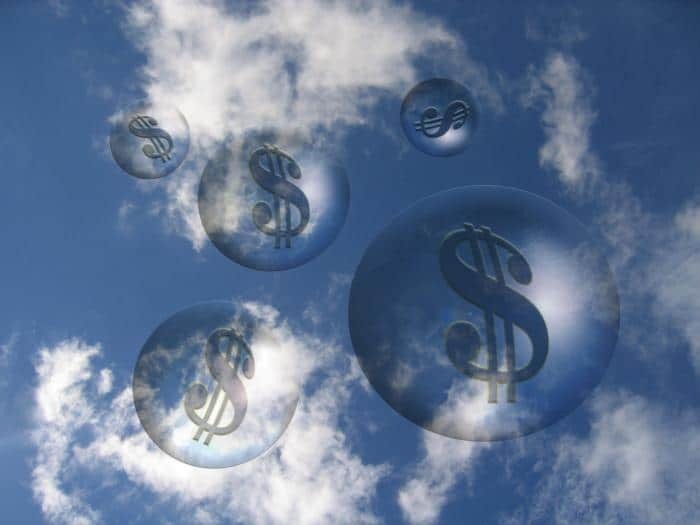 IDC says SaaS will capture almost two-thirds of public cloud spending this year. And although that dominance will fade a bit over time, SaaS is still expected to account for 60 percent of cloud spending in 2020. That SaaS spending includes both applications and infrastructure, but application purchases will comprise more than half of public cloud spending through 2020. But IDC also notes that spending on infrastructure as a service (IaaS) and platform as a service (PaaS) will grow even faster than SaaS. IaaS is expected to grow 30.1 percent annually from 2015 to 2020, while IaaS spending will expand 32.2 percent a year during the same period. IDC also breaks down public cloud growth by industry, company size and geographic region. But through 2020, the industries expanding their public cloud spending most dramatically are slightly different, IDC notes. Professional services tops this list with 23.9 percent annual growth, followed by retail’s 22.8 percent annual growth, media’s 22.5 percent annual growth rate, and telecoms’ 22.1 percent annual growth rate. But overall, public cloud growth is widespread across industries, with 18 of the 20 industries tracked due to enjoy annual growth rates of more than 20 from 2015 to 2020. Significantly, while some critics still question the public cloud’s role in large companies, enterprises with more than 1,000 employees will account for more than half of cloud spending, IDC predicts, and enjoy the fastest annual growth of any segment: 23.2 percent. Finally, the U.S. is due to remain the largest public cloud market, generating more than 60 percent of total worldwide revenues. The Asia/Pacific region (excluding Japan) and Latin America will grow cloud spending the fastest. However, Asia/Pacific (excluding Japan) is expected to grow 28 percent annually, while Latin America’s cloud spending will rise 26.6 percent a year, IDC predicts. Once again, though, the numbers show that cloud growth is widespread, with seven of the eight regions IDC tracks expected to grow more than 20 percent a year. The U.S. is the only laggard, just missing that 20 percent mark with 19.9 percent growth.